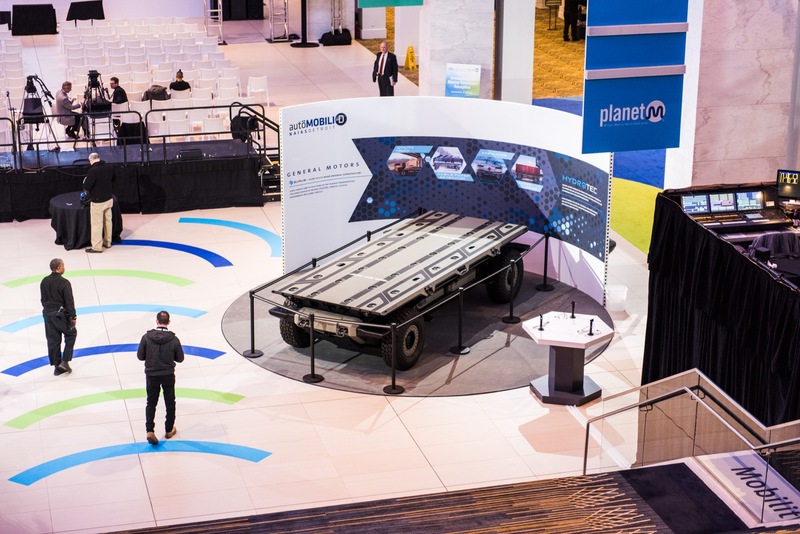 The future is electric at General Motors, but fuel cells will play an integral role into the automaker’s zero-emission strategy. 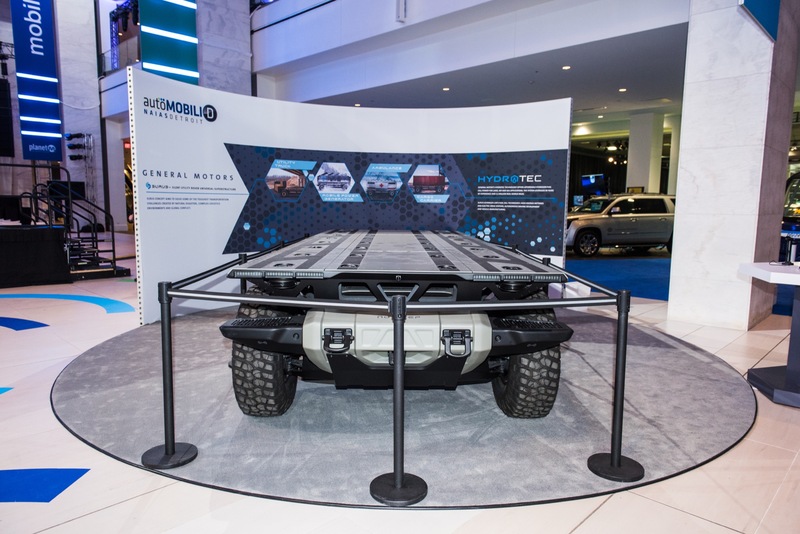 Today, GM revealed SURUS – its latest fuel-cell project, which aims to tackle the commercial and military sectors. General Motors just filed a trademark application to register the name, as first discovered by GM Authority. The GM SURUS, which stands for Silent Utility Rover Universal Superstructure, is a concept for a flexible commercial fuel-cell platform with self-driving capabilities. 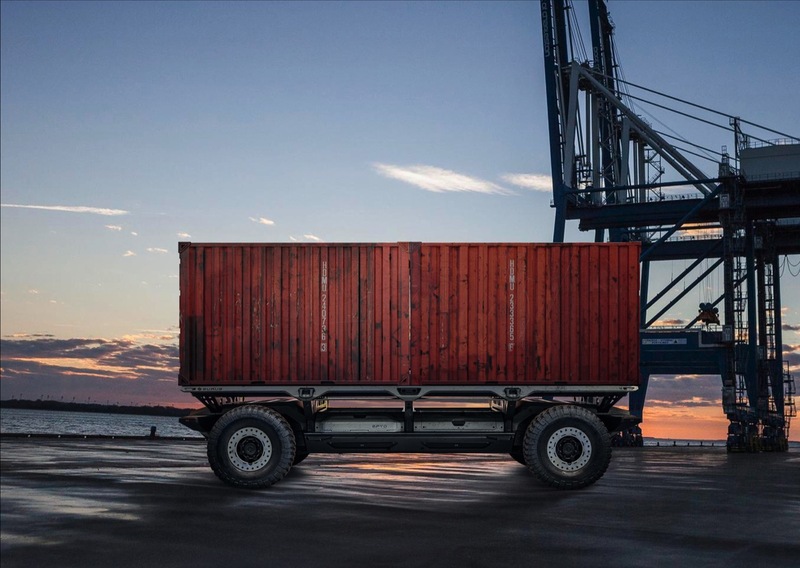 At its core, it boasts GM truck chassis components, two electric drive units, the automaker’s second-generation Hydrotec fuel-cell system and an “advanced” suspension. 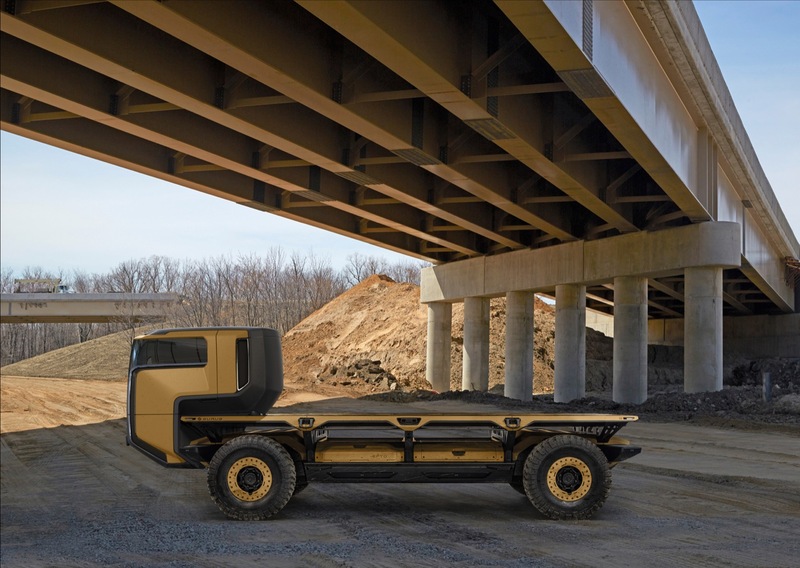 Foremost, SURUS is a solution for larger vehicles with hefty payloads. 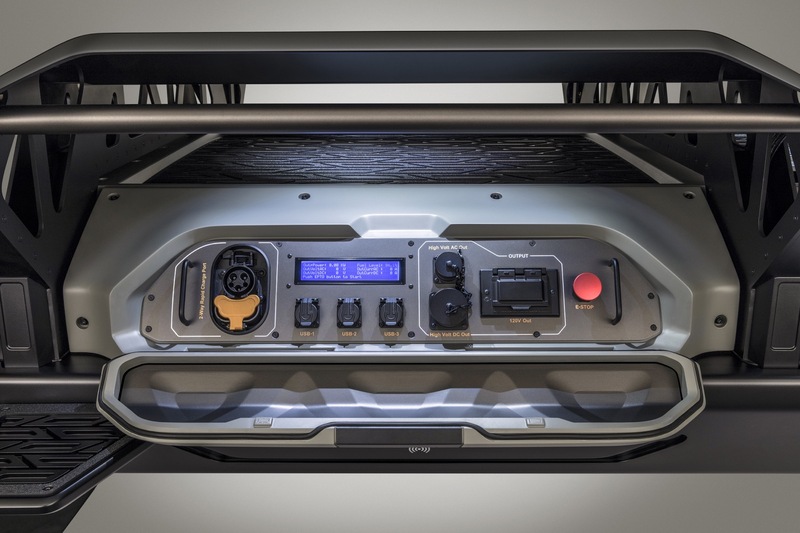 The fuel-cell system coupled with SURUS is capable of more than 400 miles of range. 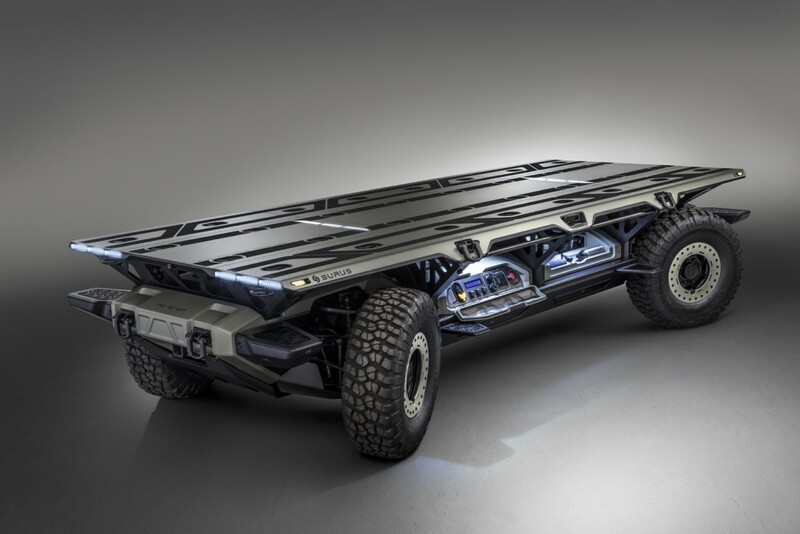 It’s important to reiterate that SURUS is not a vehicle itself, but a platform for a family of future fuel-cell vehicles. 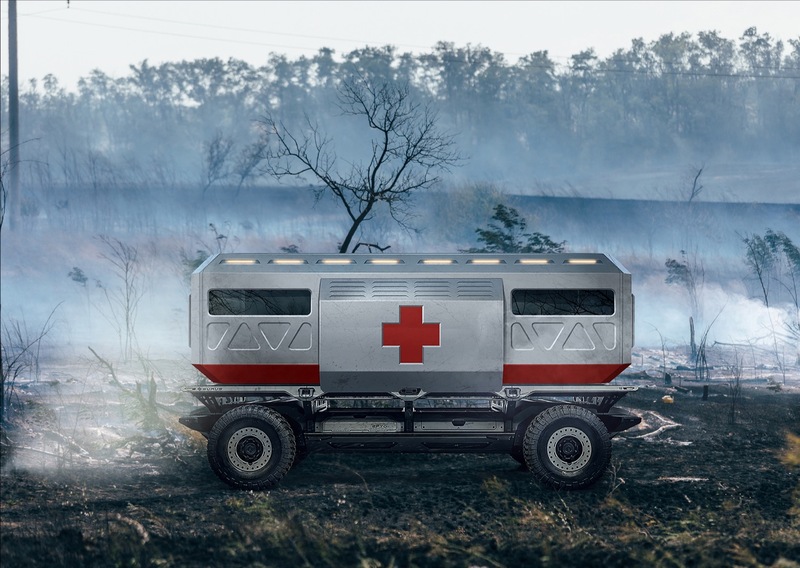 GM envisions SURUS to underpin a variety of vehicles such as light- and medium-duty commercial trucks, ambulances, freight vehicles and the platform is adaptable for military vehicles. 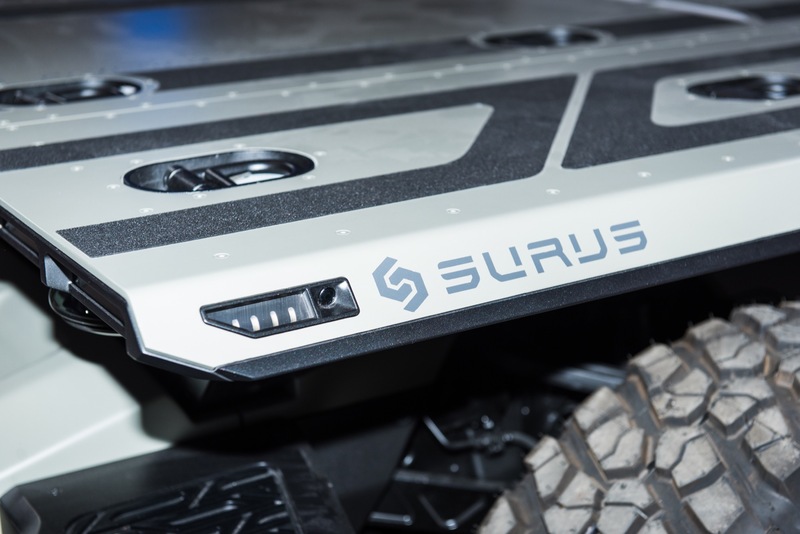 The single fuel-cell propulsion system fits all scales of SURUS, no matter the application. 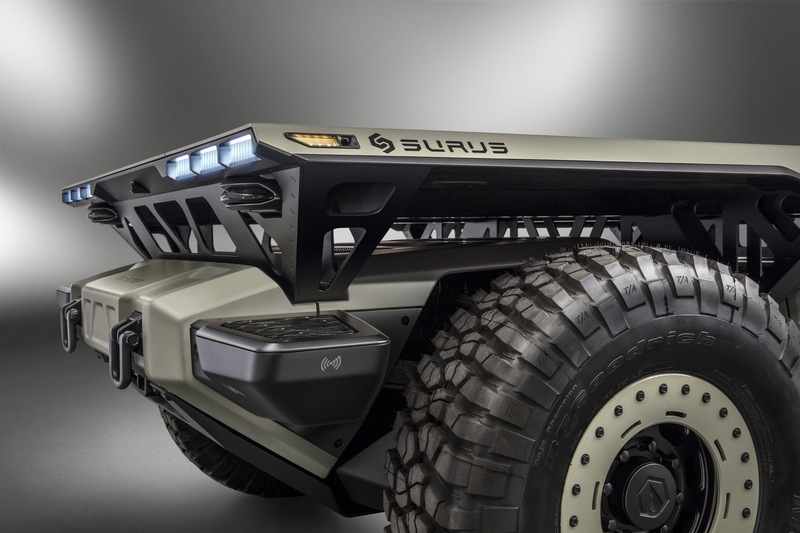 On the military front, GM says SURUS provides the capability and longevity needed in unpredictable terrain. 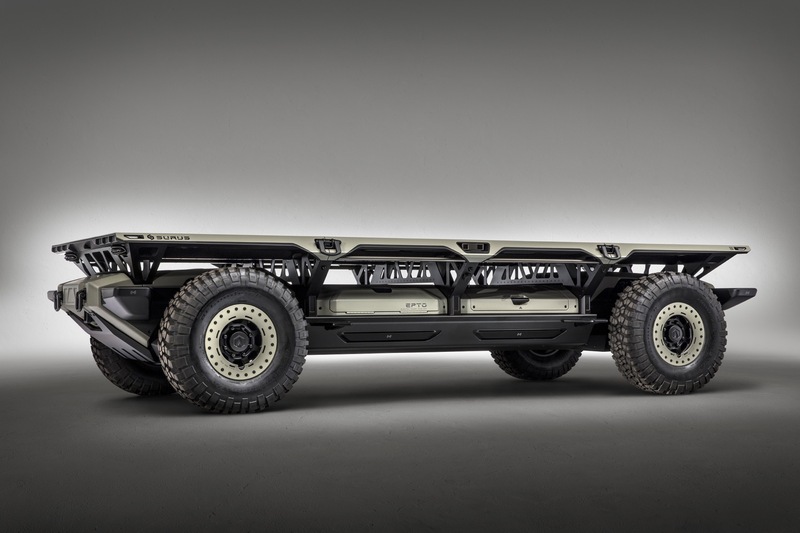 Stemming from GM’s experience with the Chevrolet Colorado ZH2, a fuel-cell-powered truck testing with the U.S. Military, the SURUS platform provides unique benefits in the field. 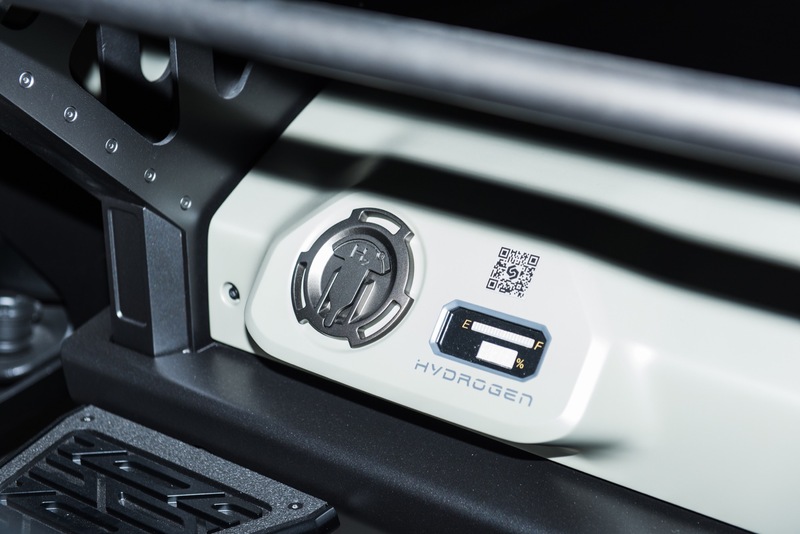 The fuel cell keeps heat signatures to a minimum, and the vehicle can travel further before being detected, thanks to near-silent operation. 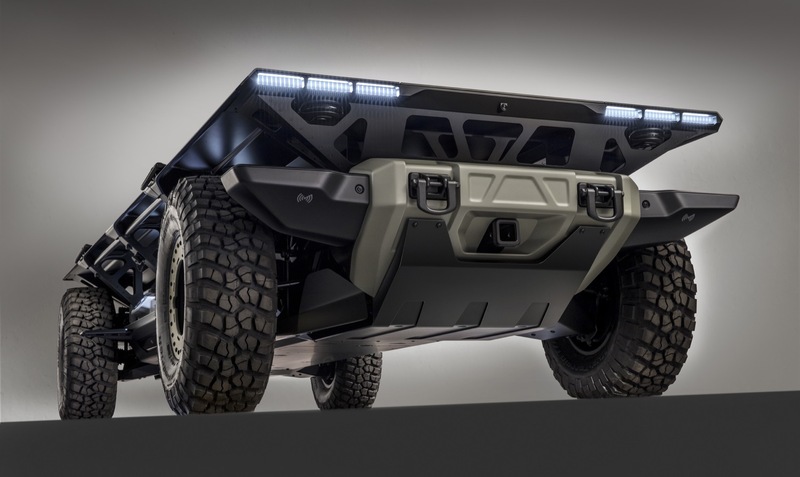 GM says the Colorado ZH2 reduced acoustic non-detection distance by 90 percent compared to current military vehicle in operation. This means the ZH2 can get 10 times closer before being detected. 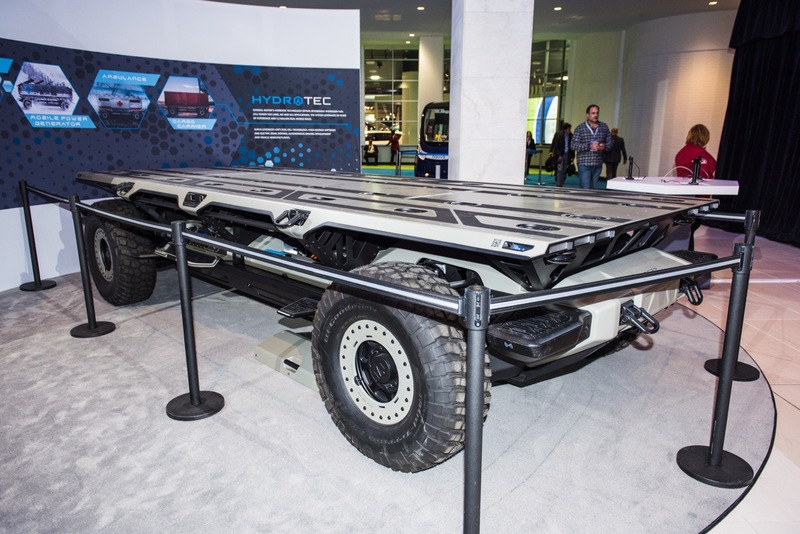 Testing of the fuel-cell pickup will continue through spring 2018. 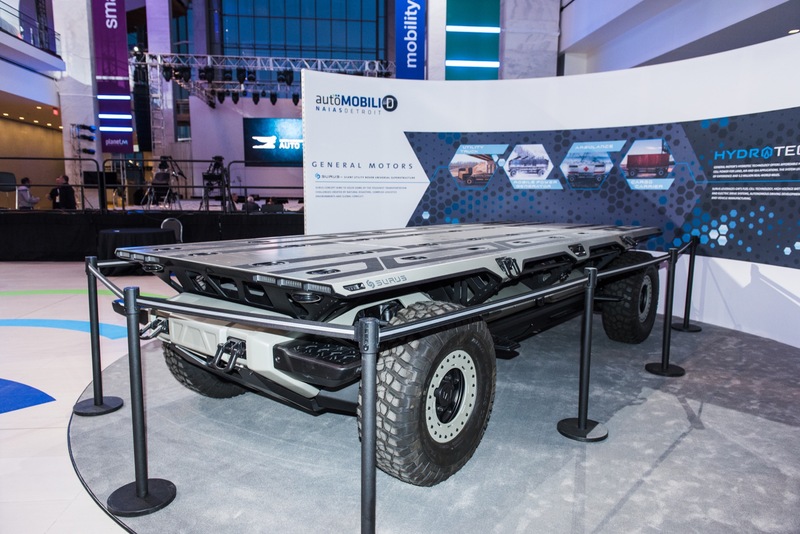 The automaker will display SURUS at the fall meeting of the Association of the United States Army (AUSA) from Oct. 9-11, 2017, after GM revealed SURUS as a key part of its future electrification strategy. 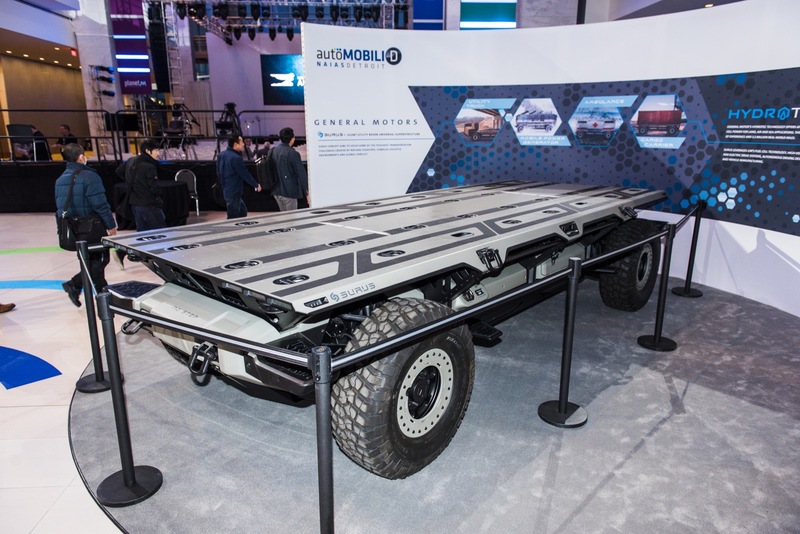 GM future electric car plans include introducing 20 new battery-electric vehicles by 2023 and SURUS is poised to be a key part of its strategy in the future. GM has been testing Fuel cell for years! Hope they bring something to market soon! Honda and Toyota have! 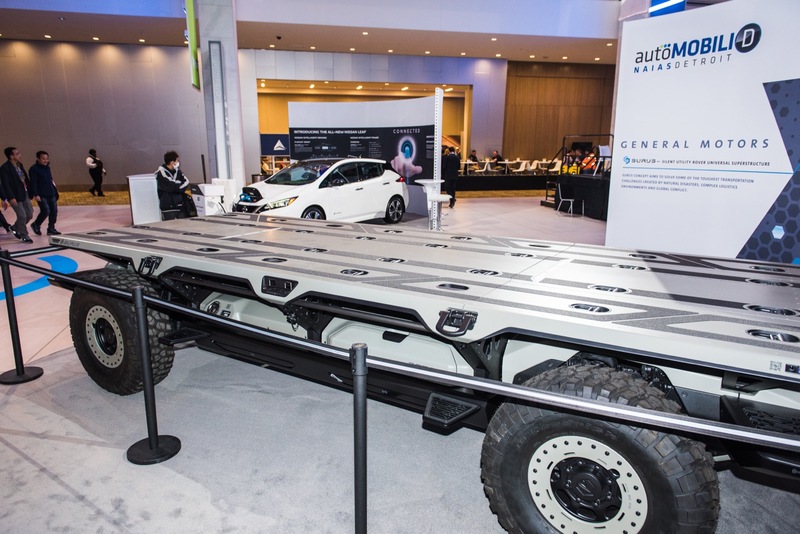 GM is in partnership with Honda who uses the GM stack. I liked the skateboard concept. Looks good and interesting. Promising. 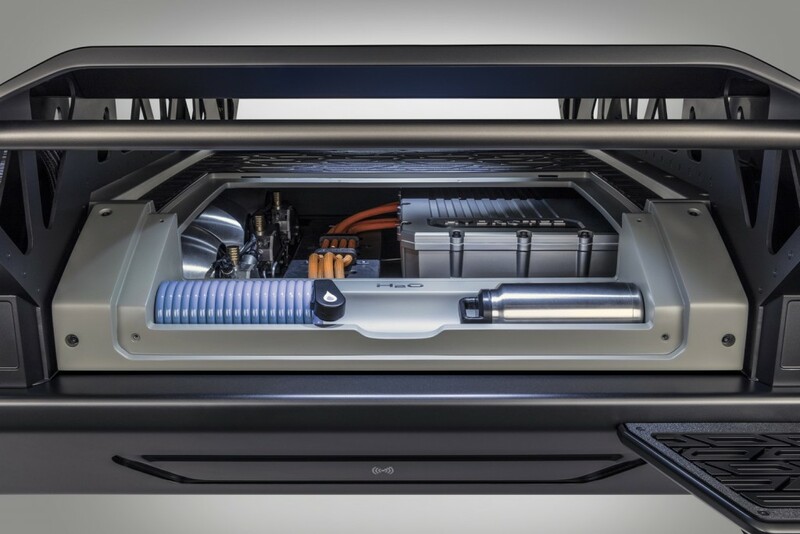 Fuel cells are much lighter and less expensive than LI batteries, but they lack the advantages of regenerative breaking. If you look at the Toyota mirai fuel cell car, it gets 67mpge equivalent. that’s in a super light small car. Gas will surpass that pretty soon in similar cars. There will be no market for it. these days gas engines are less noisy than electric given new harmonic research. the platform is nice though. Its a fuel cell feeding a small (1-3kwhr) lithium battery that feeds the motors. It’s like a hybrid where the engine is replaced with a fuel cell. 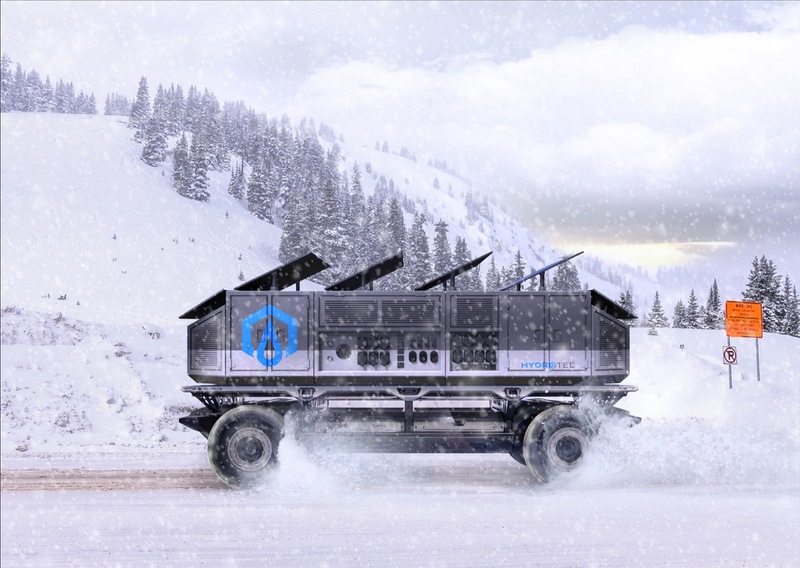 So long as the fuel cell keeps up with the average demand, it has all the advantages of lithium batteries in short term response and regenerative braking along with getting the energy density of chemical fuel. But the expense part is yet to be seen. 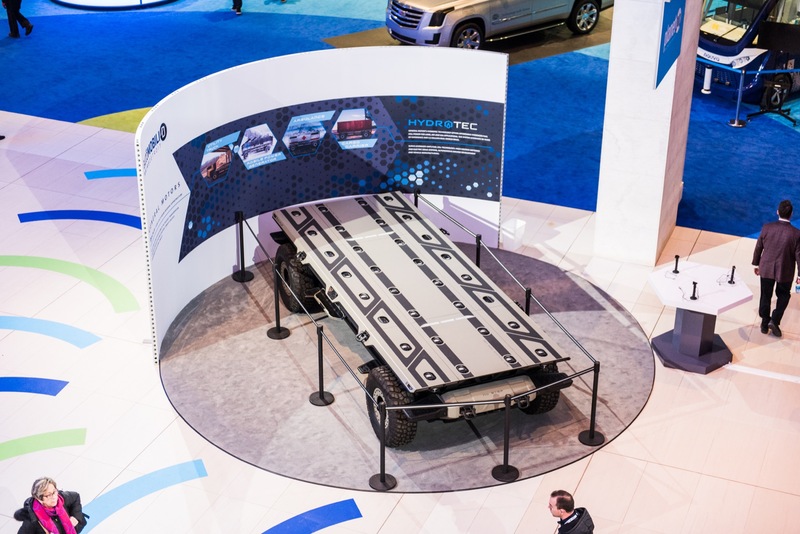 Mass produced fuel cells aren’t a thing yet partially because fuel cell cost is uncompetitive. 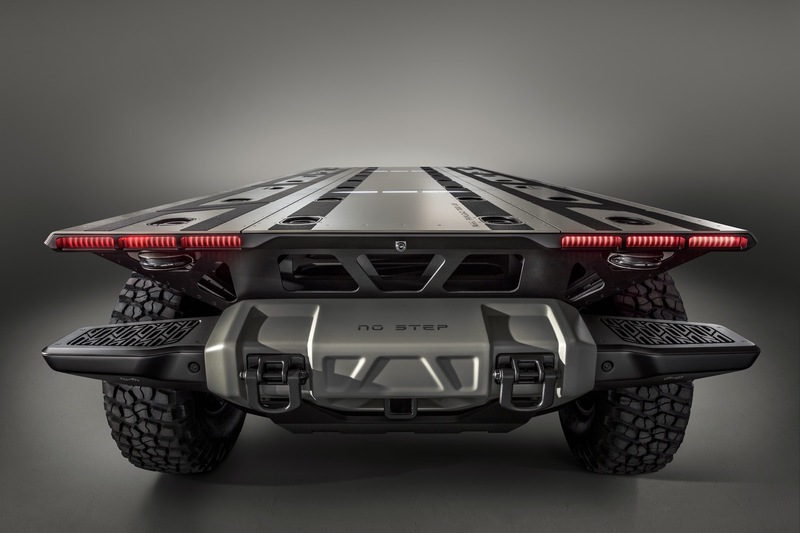 When the Volt-drive train was presented, it was always said that the combustion engine working as generator of electricity, could easily replaced by a fuel cell. 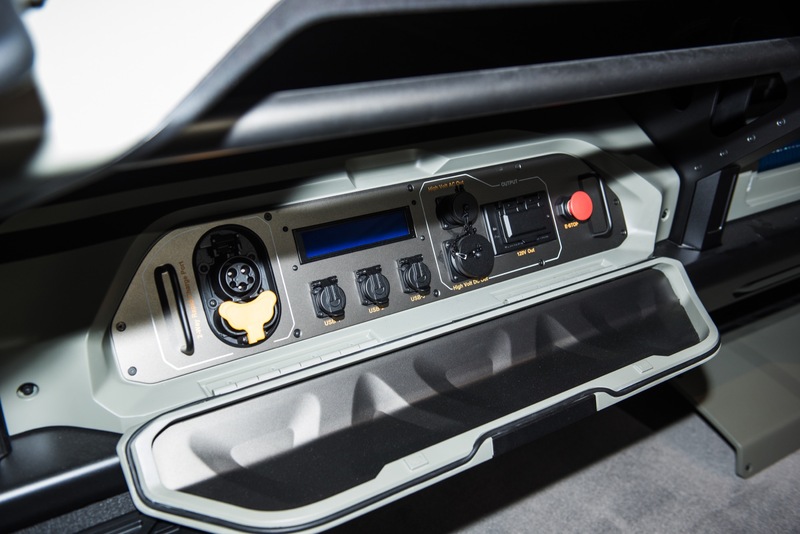 When the Volt-drive train was presented, it was always said that the combustion engine working as generator of electricity, could easily be replaced by a fuel cell. ICE motors will never be “as” quiet as electric, they will never be able to get perfect balance at all RPM’s. They have come a long way with isolation tech though. they already have. 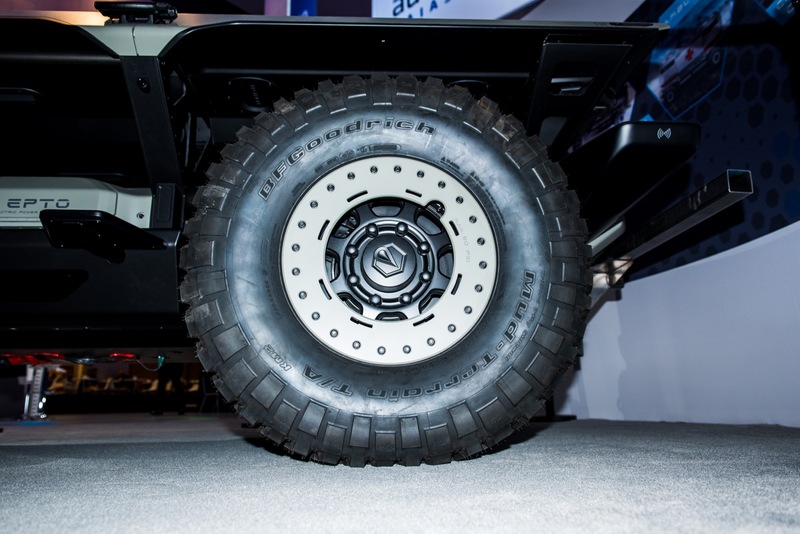 Balance is pretty easy as you can tune it out, just like your tires. what kills is resonance. that’s when they really get tough. 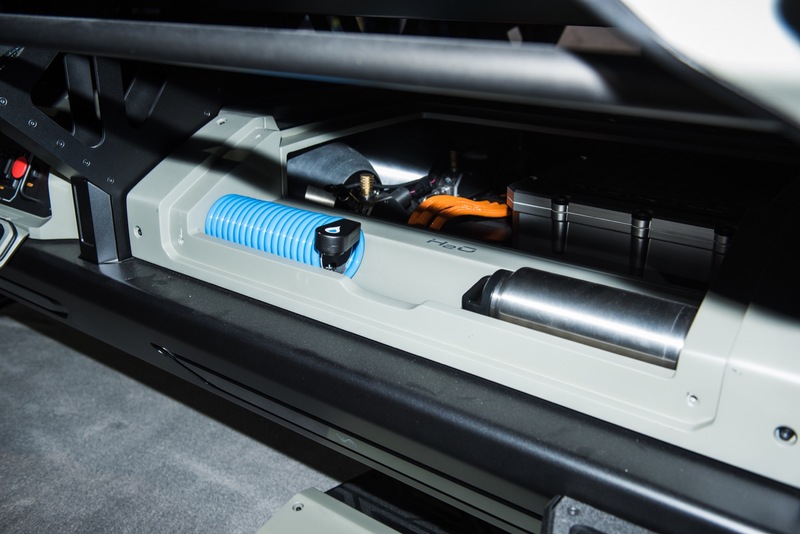 Ive driven a corsa with the ecotech 1.3 3 cylinder, and the 3 cylinder was quieter with the windows rolled down, even while driving down twisting alleyways than a Toyota Auris hybrid. They need to find out how to defeat that inerter wine. 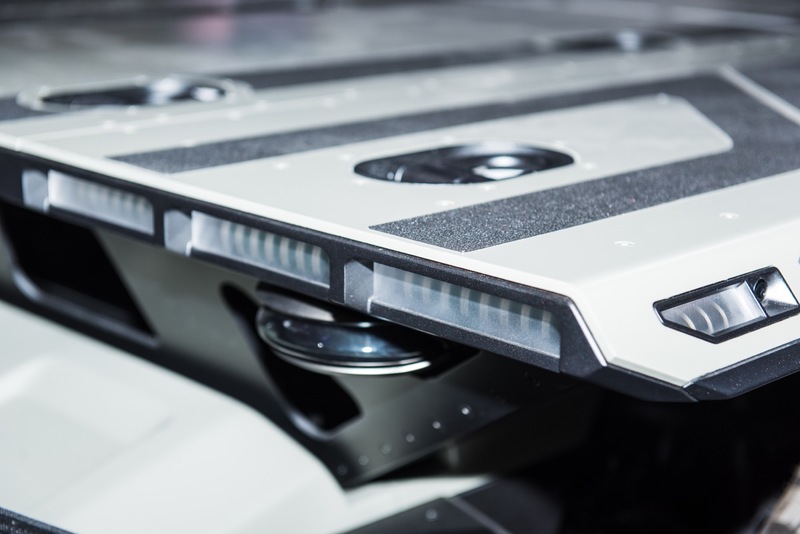 This could be the underpinning of the GEN 9 Corvette featuring fuel cell electric chassis as Hydrogen fuel will be used to keep the superconducting high-efficiency electric motors running more efficiently and allow for better acceleration and range. There will be a hybrid C8, so it looks like this could happen. I bet GM will never get the credit for being out in front of this technology! But if this was Ford that’s all people would be talking about! All that says is that Ford has better marketing people. I agree. This is just the next step of the Autonomy program GM had. By the look af this I suspect they will look to make this more a fleet use vehicle that are sold for various industry and mass transit use. By doing it this way it would increase production and help lower development cost for smaller units for personal transportation. Fuel cells are great but getting to affordability is key. I have driven fuel cells and I loved it but 5he cost was just crazy. I see this as a path to lower cost say as a transportation vehicle at Disney or airports. This would start 5he drive to mass production and in time lower cost. This tells me that the oil companies are on board with this! 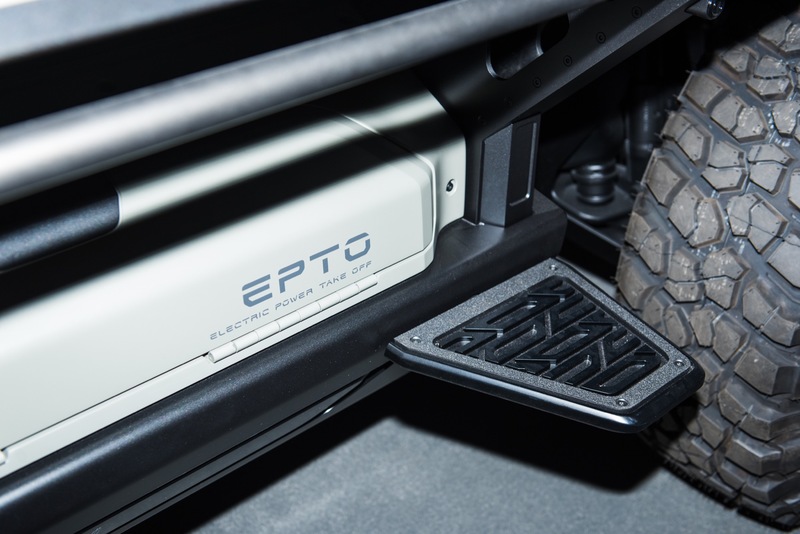 People have to find a way to refuel the cars and trucks that have fuel cell engines. 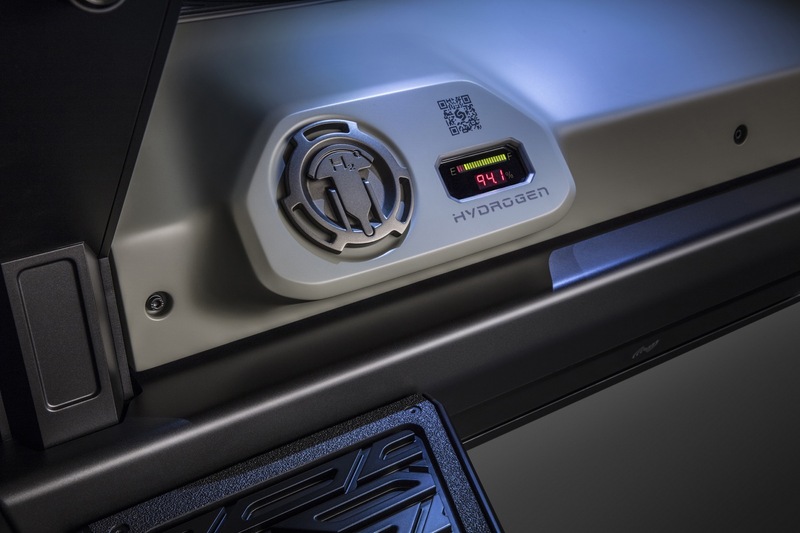 So the gas stations will offer hydrogen instead of fuel in the future!